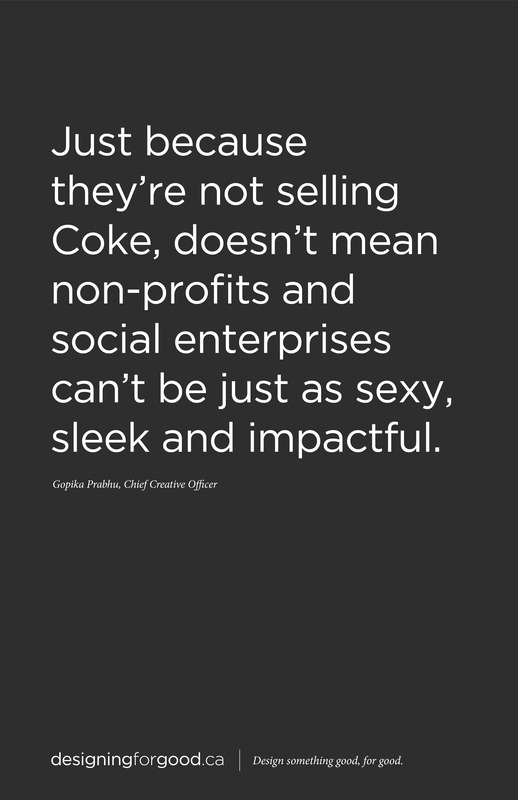 What does the non-profit sector and the design industry say about the power of design for social good? What about challenges affording design costs? 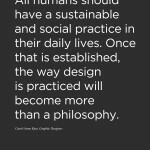 Dedicated to providing designers with a wide range of information regarding sustainable business practice. 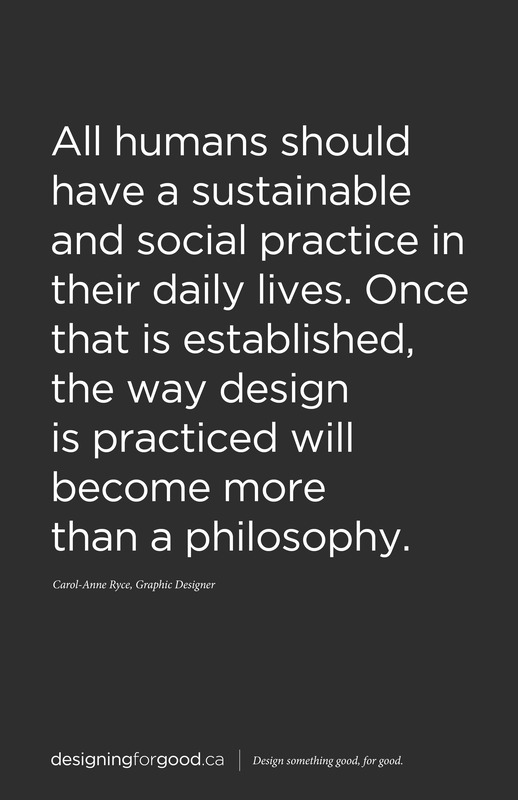 Through case studies, interviews, resources and discourse, this site will encourage and support designers as they incorporate sustainable thinking into their professional lives. The national strategic body for design. The UK Design Council believes that Good design can help integrate environmental sustainability into the creation of attractive products and services. It can help shift customers’ consumption and lifestyle aspirations as well as stimulate the market for sustainable offerings. A coalition of designers, educators, researchers, engineers, business consultants, and corporations, who are working together to create positive environmental and social impact. An effort to bring together the world’s graphic design community to address the issues surrounding climate change. Take the Pledge! An Australian resource established to inspire, educate and empower Australian graphic designers to work towards more environmentally sustainable practices. 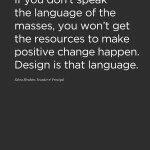 Helps to start the conversation on green graphic design by providing defintions, tips, and links to sustainable resources designers can use to make their work a little greener. A diverse collective of creative people brought together through the common mission of reconnecting people with nature by design. 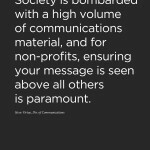 Important messages have to compete with an almost limitless array of information. 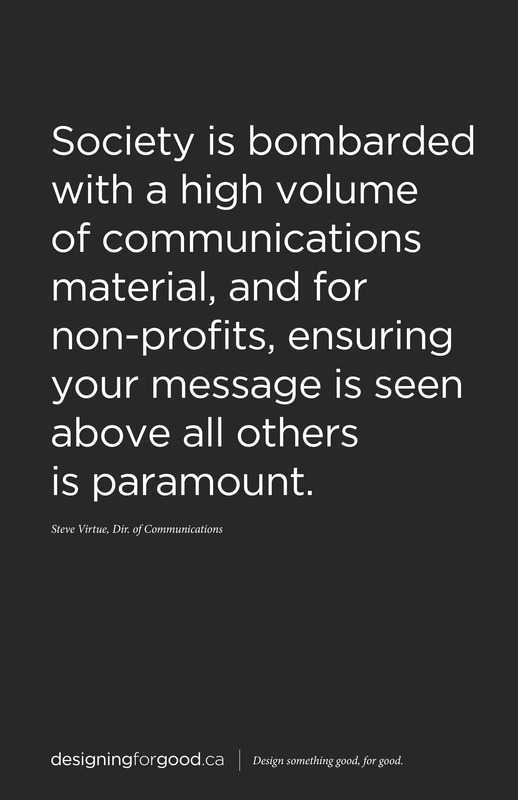 As consumers of all this information, we become increasingly skilled at filtering out seemingly irrelevant communication that could otherwise influence the way we think and act for the better. Today’s graphic designers have an ever greater responsibility to visualize the significant issues facing our society and find new and powerful ways to incite change in the way we behave. When we approach these issues creatively, we can make a real difference in the world. Ultimately, it is time for us to apply our creativity to shift thinking toward alternative solutions to ethical issues that impact our lives and the world we live in. The Association of Registered Graphic Designers (RGD) invites submissions of graphic design projects done under the theme of communication design for social good; work with the power to incite action and make meaningful change in the way we live our lives. 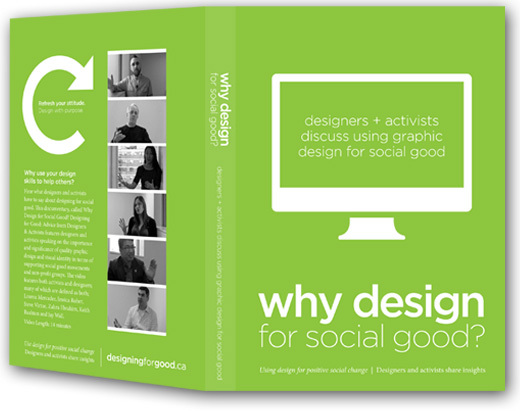 As part of the Designing for Good Thesis Project back in the winter of 2011-2012, which covered various ways that design can be used for social good, I explored the visuals individuals use to ask for support. Perhaps different from the requests non-profit organizations and established charities use to ask for requests, these signs were for individuals to make requests (whether it be food, cash, transit tickets, cigarettes or otherwise). How can a normally hand-written sign on a torn piece of cardboard be improved? 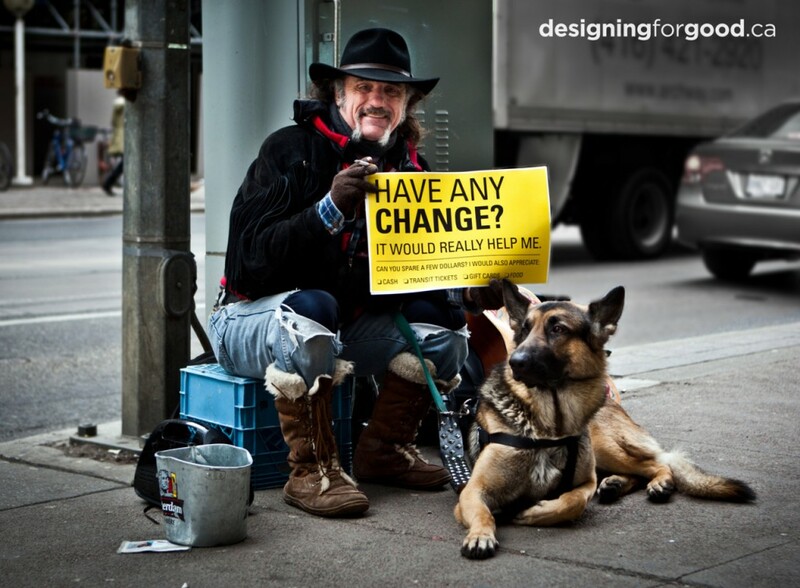 The sign I gave to the individual on the streets of Toronto read, “Have any change? It would really help me!”. There are alternate concepts, including different ways of wording the messages (direct, humourous, few vs. many words) and including options that the user of the sign could check-off and re-use the sign for different purposes. I would definitely explore this project with others and sign messages in the future. Photo by Andrew Ly. January 2012, Toronto. 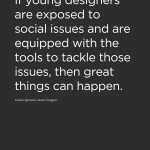 Why use your design skills to help others? 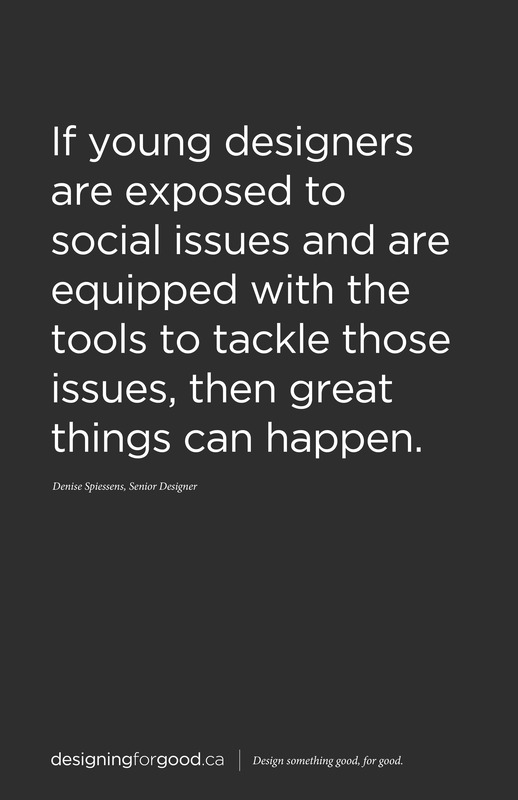 Hear what designers and activists have to say about designing for social good. 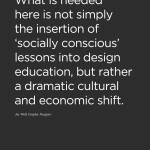 This documentary, called Why Design for Social Good? 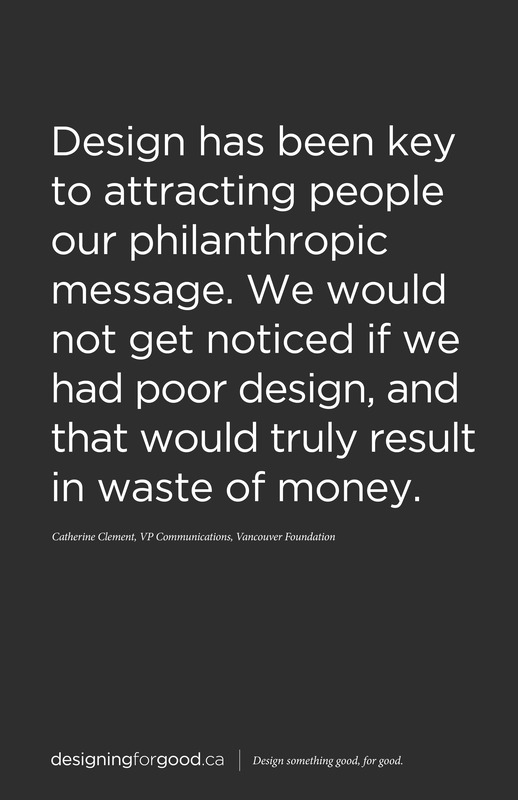 Designing for Good: Advice from Designers & Activists features graphic designers and non-profit and community activists speaking on the importance and significance of quality graphic design and visual identity in terms of supporting social good movements and non-profit groups. 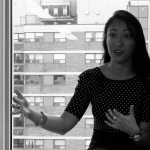 The video features activists and designers – many of which are defined as both; Louroz Mercader, Jessica Roher, Steve Virtue, Zahra Ebrahim, Keith Rushton and Jay Wall. Watch it Online Now here. If you are interested in a DVD copy of the 14-minute documentary, please email daniel@danielfrancavilla.com. As described in a previous post about the progress, a new logo was designed for the Scarborough Civic Action Network as a deliverable for the Designing for Good thesis, as an example of what would be produced from the centre. For background information on the logo design process, click here. Despite the effectiveness of the Scarborough Civic Action Network (SCAN) in extending its reach throughout Scarborough and facilitating civic engagement over the past ten years, the organization did not have a logo to identify their work. SCAN wanted a logo that represented connecting people and ideas across Scarborough, and the positive growth and change that develops from these connections. They also wanted the logo to reflect that the civic engagement work undertaken in Scarborough has ripple effects throughout our communities, Scarborough and the City of Toronto. In addition, the organization required flexibility because the Scarborough Civic Action Network is known by most in the community as SCAN but has previously been referred to as ‘ScarboroughCAN’. A logo was developed along with three alternative variations to be used in certain situations. The main logo, displayed above as the finalized design, will be applied to SCAN’s documents and marketing materials, beginning with the website (currently being developed). Along with the logo, a typographic style and colour scheme were provided to the organization for implementation. “We wanted to make sure that our logo could be adjusted so that variations could be used for different events. Daniel developed a logo that allows for this flexibility but is consistent,” Roher explained, ”We are really excited about our new logo because we know it will help us extend our reach further and be more visible in the community”. It was a very positive experience working with the SCAN team and developing a logo for an organization that is making real change within Toronto. Organizations interested in design services can contact daniel@danieldesign.ca. As an application of the Designing for Good project (an example of what the centre would develop), a logo was created for Scarborough Civic Action Network. The Scarborough Civic Action Network (part of Agincourt Community Services Association), which has been operating actively for over a decade, was looking to develop a logo and defined visual identity for the first time. The organization is a network of agencies, community groups, and individuals working to improve the quality of life of Scarborough’s diverse and growing population through civic action. They raise awareness and speak out on issues that matter to Scarborough residents as citizens of Toronto, Ontario and Canada. SCAN was looking for a logo that reflects what they do and that appears interesting. Their coordinator (staff member) lead the process, and their Steering Committee provided feedback and direction along the way. To begin work on this in a shorter timeframe, an Online Survey for the Steering Committee was conducted, to provide their answers and direction efficiently. Part of the research also came from both new and existing Key Informant Interviews. In terms of visual style, the SCAN team requested something graphic and not solely typographical. Having a symbol was preferred over a wordmark-only solution. There was debate and uncertainty in regards to the text or name used in the logo. One example for naming was the logo for the Greater Toronto CivicAction Alliance, which is a very large “CivicAction” with their full name as a sub-caption below it. However, others within the organization preferred the name “Scarborough” as the larger focus instead of “Civic Action”. Currently the organization can be referred to as both: “SCAN” or “Scarborough CAN”, which each work verbally and visually, however the meanings of them as words differ. When thinking about domain names for their upcoming website, the suggestion of ScarboroughCan.ca was decided upon as part of the survey. Another suggestion was to create a tagline or phrase to use as domain (for example: “ScarboroughTogether.com” or “ConnectingScarborough.ca”). For colour, there had not been anything specifically defined or existing. One key note is that they would like to avoid using any of the political party colours (red, royal blue, green, orange). One suggestion was teal, or earth tones, from the SCAN team. When it came to content and inspiration, a key note is that this organization focuses on larger issues, not solely civic engagement. Some of the key words and terms to consider include: Questions, Education, Network, Thought, Conversation, Ripple Effect, Communities Rising, Change, Bringing People Together. Several other non-profit organizations, governments and civic action-related organizations logos were reviewed and evaluated. The Scarborough Civic action Network logo is a result of months of research and refinement of five concepts. The final version will be posted online shortly. This week’s Designing for Good interview is with Zahra Ebrahim, a creativity architect, community activist, professor at OCAD U – and the Founder and Principal of archiTEXT inc, a Toronto design consultancy and think tank. 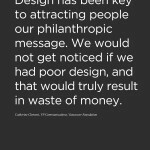 DF: As a designer who has also worked with non-profit organizations and community groups, how has design impacted the initiatives you have been involved with? ZE: There are a few dimensions. In my work, I get to use design (architecture) as a tool to introduce kids to what the idea of being a creative is. It opens them up to the idea. For example, my studio is currently facilitating a project where kids are building a building right now and they’re seeing community come together through the design process, bringing architecture to inner suburbs, exploring models of economic development, and enabling them access to a traditionally inaccessible discipline. If you give the responsibility of design to people that would not necessarily have access to it, you are making the seemingly impossible possible. 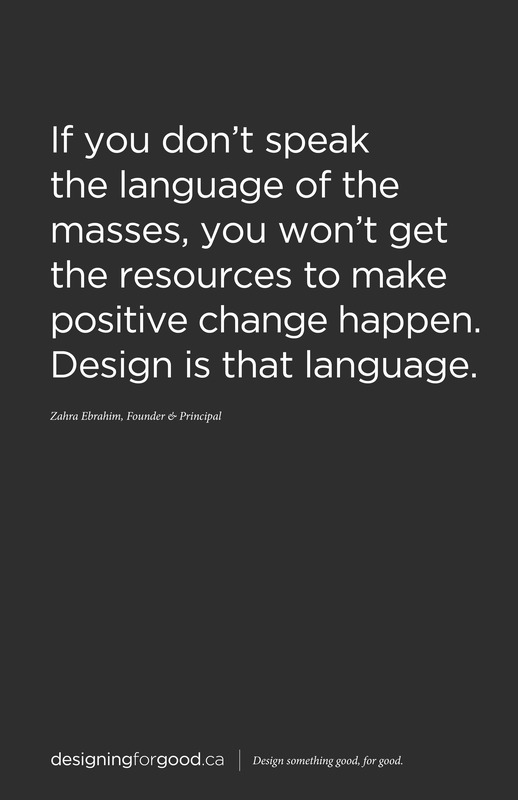 Design is a tool to enable people, and is also a mobilizer. 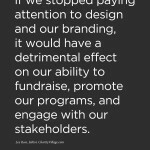 DF: What are your thoughts on how your organization or project (or one you know of) would function with poor, default, unthoughtful design and branding? ZE: The problem is people are willing to accept mediocre design. Over the past few years, I’ve had the opportunity to be involved with ReThink Breast Cancer. When I was asked to get involved initially, I was impressed by their attention to design. 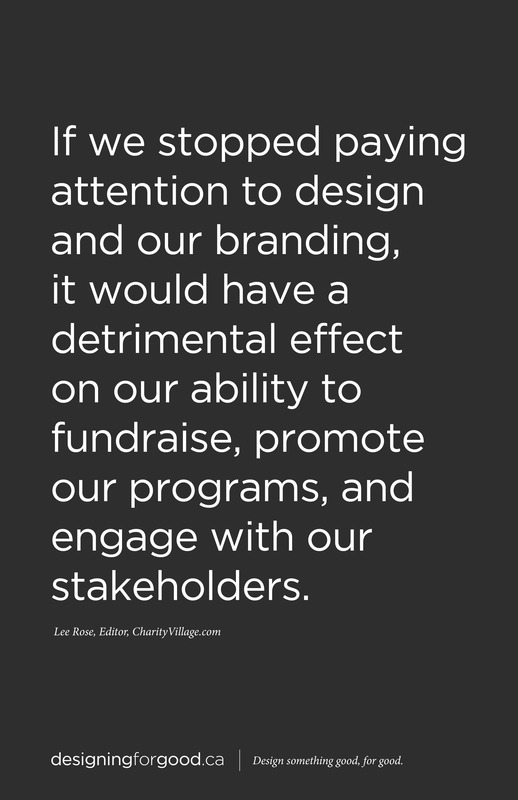 By valuing good design, they invest in an authentic representation of their organization. A designer clearly did their due diligence, because a visual was created, that I (an outsider to the organization) can connect with. So when I interface with them visually, it helps establish a stronger relationship. 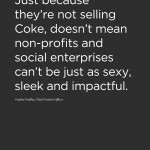 DF: Do you feel that non-profits, social enterprises and grassroots initiatives can survive and compete for attention with the visual branding of large companies? ZE: Yeah. There are some really great examples. In a perfect world, a Graphic Designer doesn’t give better work to the corporation. What comes out is a representation of the process of engaging with the organization. A designer creating for “Not Far From the Tree” vs. “Ford” should have the same quality. There’s no competition. Design is supposed to be consistent. 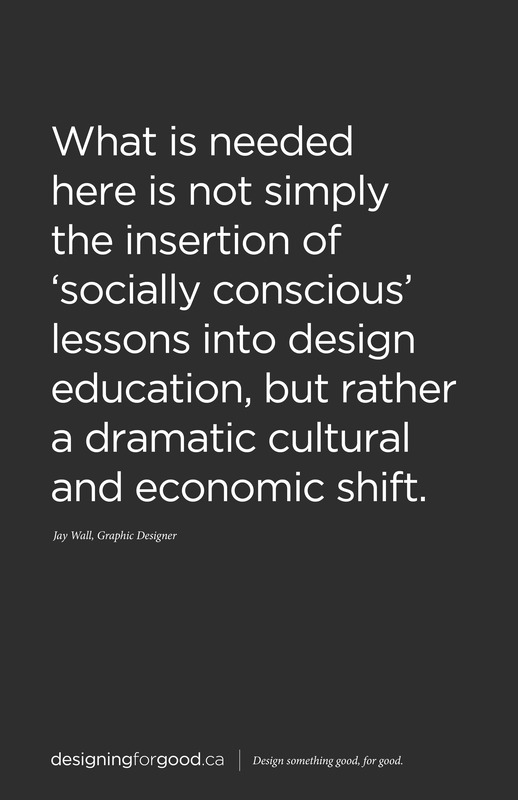 DF: In your opinion, should all designers have some sustainability or social conscious in their practice and philosophy? DF: Do you think that a physical storefront (or space or studio) dedicated to offering design services for “good” would be a useful idea? ZE: Organizations need good visual identities. What a storefront does is provides access to it. How do these organizations find out about this plea? How do they find you, how do they interface with you? Go into communities that don’t have any access to design. It’s all about how they find you. It’s about access. Bridging the design community with those in need of good design. 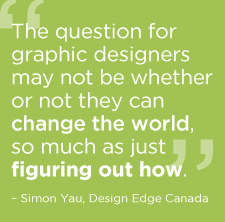 A series of posters based on the quotes from both the DesigningforGood.ca Interview Series and the Designing for Good Video for new graphic designers. The above gallery consists of JPG files. To view the full-size poster or download the file, simply right-click and choose Save Linked File as.